Having a good exit strategy is not just important for families preparing for home emergencies. Any seasoned entrepreneur will tell you the goal of a good exit strategy is to identify those pathways that will give their company the best chance at success. Taking a company public, strategic mergers, and being acquired are all options, all of which require very different planning and execution strategies for companies as they navigate to maturity. Cultivating an ecosystem that supports fundraising, expertise, collaborations, and exit opportunities is critical for regional growth. As states try to elevate their profiles to attract the best in health innovation, providing an ecosystem that supports companies from seed to exit is essential. We looked at which states in the Midwest were producing mature companies with impactful solutions in trying to define the places entrepreneurs want to be. From 2012 to 2016, Minnesota led the Midwest with six initial public offerings (IPO) of health technology companies. This was more than double the next closest state when looking at per capita adjustments. Medical Alley (Minnesota) also produced the second most mergers and acquisitions with 38 (Illinois led with 45). However, per capita adjustments moved Minnesota to the regional lead with 6.88 M&A events per million residents, more than double Illinois. Overall, Minnesota and Illinois led the region from 2012–2016 in health technology company exits. 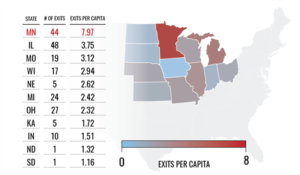 Minnesota tallied 44 total exits to Illinois’ 48, while per capita adjustments saw Medical Alley nearly double the exit productivity of its region peer. With over $519 million raised by companies through three quarters of 2017, the excellence from incubation through maturity and beyond isn’t changing for Medical Alley.  When considering the dominant presence of global health tech leadership, it is clear there is no better time to be in Minnesota if your company is looking to leave its mark in healthcare and health technology. · Crunchbase pro was utilized to identify companies within the Midwest region which included: Minnesota, Iowa, Wisconsin, North Dakota, South Dakota, Missouri, Ohio, Illinois, Indiana, Kansas, and Michigan. · Companies were limited to those having headquarters within the identified states. · Categorical tags were used to identify health technology companies and included: Healthcare, Medical, Medical Device, Pharmaceutical, Health Diagnostics, Biopharma, and Health Insurance. 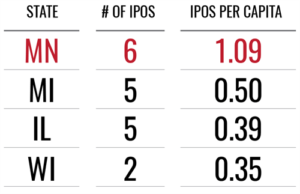 · Companies were required to have > 1 IPO for per capita adjustment analysis. · Companies listed within each region were reviewed by research staff to ensure headquarter and categorical accuracy. · Hospital and other health systems, consulting firms, and companies whose products/services were not related to human application were excluded. · Filters were applied to only analyze metrics reported on between the years 2012–2016. · State population data for per capita analysis was acquired from U.S. census data for the year 2016.